Praying all is well with you and your family. Just wanted to take a few minutes of your time to tell you about a giveaway. 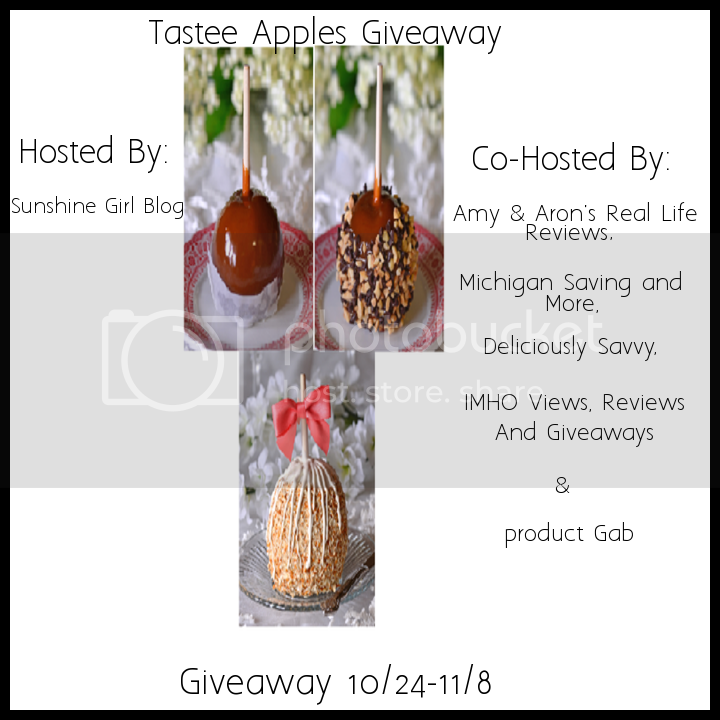 I recently partnered with Sunshine Girl Blog and a few others blogs to bring you the below giveaway. These apples look great. Check out a review on this amazing product here! Disclosure: This giveaway is open to 18 + US residents. The following information is brought to you by Sunshine Girl Blog. All Bloggers involved are not responsible for fulfilling the prize. Good Luck! Make sure you share too! =) Winner(s) are subject to eligibility verification. Winner will be contacted by email and will have 48 hours to respond before a new winner is chosen. This event is in no way administered, sponsored, or endorsed by, or associated with, Facebook and/or Twitter, Google, Pinterest, or any other social media outlet. Giveaway ends at 11:59 p.m. (EST) on November 8, 2015. Giveaway is open to residents of the United States age 18 and older. All entries are optional unless otherwise indicated. Any entries that are mandatory will be clearly marked as such and if not completed your entry will automatically be voided. Such as an unverified email address. Contact sunshinegirblogger@gmail.com if you have any questions, concerns, or comments.